The announcement of the Team USA 2016 Olympic Games roster has created a lot of talking points and understandably, it is the players missing out as opposed to the players that are in that are the focus of attention. There is plenty of time to analyse and review the merits of the players that are in the squad but when you have so many star names from the NBA sitting out the tournament, it is inevitable that this will be the initial talking point. This is undoubtedly sad news because if the cream of the NBA were involved, basketball at the Olympics would be one of the most important sporting events in the tournament. You can be sure that fans of the participating teams and basketball fans around the world will take a keen interest in the tournament but if the real big names of the sport were involved, there would have been many more people tuning in to see what the fuss is all about. NBA coverage is very limited in some parts of the world but the Olympics are usually made free to air or given a much wider platform for sports fans to enjoy. This means that there is a chance for everyone to see these games and this is why if the big name players were involved, there would have been a much greater level of excitement and need to watch the big games. With LeBron James and Steph Curry not being involved in the 2016 Olympic Games, some casual fans are going to miss out. You can bet the selectors for Team USA would much rather have had the best players involved with the tournament but there are many reasons why the players, and their coaching staff at their own club, will be much happier that these players are sitting out the action this summer. This isn’t just a case for the American side though. Yes, it is natural that Team USA will be the one that has access to the most NBA players but the NBA is a league that welcomes players from around the globe. One of the reasons that the NBA is so popular around the world comes from individual players from far-flung areas of the globe making an impact on the league. Basketball fans can put aside their own personal allegiances and get behind the best player or players from their country making an impact in the biggest league in the world. Spain is a country which has enjoyed a good few players making it in the NBA but sadly for the Spaniards heading to the 2016 Olympic Games, the Spanish roster will be missing a player that has shown he has what it takes to mix things up in the NBA. Serge Ibaka is not going to be available for the Spanish team this summer in Rio. There has been no specific reason provided by Ibaka or the Spanish national team to explain the omission but the most obvious reason comes with Ibaka looking to have the best possible impact for his new team in the NBA. 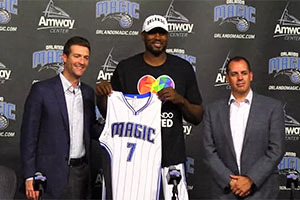 Ibaka is now a player for the Orlando Magic after he was involved in a trade deal during the 2016 NBA Draft, which took place earlier this week. Ibaka heads to Orlando while the Thunder received Domantas Sabonis, Ersan Ilyasova and Victor Oladipo. This move is likely to see a lot more pressure and responsibility placed onto the shoulders of Ibaka and it is easy to see why we would rather focus on being at his best for the new campaign. Ibaka was a good player for the Oklahoma City Thunder but when you have team-mates of the calibre of Russell Westbrook and Kevin Durant, you don’t need to be at your best game in, game out. This won’t be the case in Orlando though and Ibaka will be expected to drive the team onwards at times, which means the 27 year old is likely to be the focal point of so much that the team has to offer. The Spanish 20 player squad for the 2016 Rio Games consists of Alberto Aalde, Alex Abrines, Pablo Aguilar, Jose Calderon, Victor Claver, Daniel Diez, Ilimane Diop, Rudy Fernandez, Pau Gasol, Marc Gasol, Willy Hernangomez, Sergio Llull, Nikolas Mirotic, Juan Carlos Navarro, Felipe Reyes, Pau Ribas, Sergio Rodriguez, Ricky Rubio, Fernando San Emeterio and Guillem Vives. This is a Spanish team with a great deal of experience and many of the players in this squad have two silver medals from previous Olympic Games. The Spaniards have lost to USA twice in the finals and they’ll be desperate to have another crack at the number one team in world basketball. The Spanish training camp gets underway on the 1st of July in the Spanish capital of Madrid and one player who will be looking forward to the tournament is Juan Carlos Navarro. 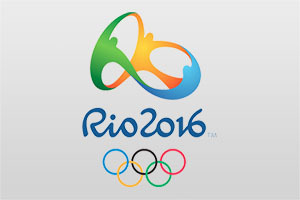 If Navarro makes it to Rio, this will be his fifth Olympic Games in a row. The player sat out the EuroBasket 2015 title win, so he’ll be delighted to be back in contention for this tournament and in the previous games against the United States, Juan Carlos Navarro has been one of the key Spanish players. In the 2008 final, Navarro grabbed 18 points in the loss and in the 2012 Final in London, Navarro provided 21 points in the defeat. Navarro was even part of the Spanish squad that lost the 2004 Olympic Games quarter-final against the USA with the player offering up 17 points. Juan Carlos Navarro has a lengthy history of scoring big points against the USA and he’ll be determined to do so again this summer in Rio. There are still cuts to be made to the Spanish team and it will be interesting to see if there are many changes to the squad that triumphed at the EuroBasket 2015 event. Pau Ribas, Sergio Rodriguez and Sergio Llull are all hugely important players that had a big part to say in the success of the Spanish side last year. However, Jose Calderon and Ricky Rubio, two players with NBA experience, were absent from last year’s win but are involved in the provisional squad at the moment. Will we see both Gasol brothers in Spain? Pau Gasol is a virtual certainty to make the tournament but there are doubts over his brother Marc. This is because Marc Gasol suffered a broken foot earlier on this year and while he has been included in the provisional squad of 20 players, he is yet to receive the medical all-clear to return to basketball action. 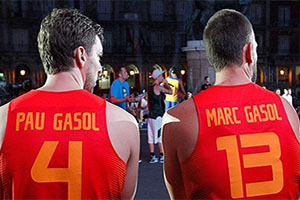 One Gasol is always better than nothing but if Spain are looking to make a real impact on the 2016 Olympic Games in Rio, and go one further than their last two attempts, they will want both of the brothers on the court for as long as possible. With Ibaka sitting out, it is likely that Nikola Mirotic will claim the naturalised spot this summer, which makes things slightly easier for head coach Sergio Scariolo. He is the man charged with whittling down the squad of 20 players into the final 12 that will make their way to Brazil carrying the hopes of Spain with them. Spain are currently listed at 9.50, and given that they have made the final of the last two Olympic basketball finals, this isn’t a bad bet at all. If the Spanish can retain their consistency in the event while adding a touch more flair and fight in a final, against a USA side who may not be as strong as they have been historically, and this price starts to look very attractive for many punters.